Disconnector Disconnecting Switch 35 kV. - 500 kV. Wide range of disconnecting switches are available for our customers: Vertical Break, Center Break, Double End Break, Single Side Break and Pantograph Switch. Centre Break Disconnecting Switch is versitile and can be used in major substation types. Due to simple design, it can be installed in parallel. The lightweight design of the disconnectors allows strong withstanding against seismic influence. The live parts are made from aluminum, hard drawn silver plated copper, with stainless steel hardware. The rotary contacts are either made from lfexible aluminum straps or self-cleaning type with fingers individually loaded by stainless steel springs. The frame and the supporting parts are hot dip galvanised. Double Break disconnector is direct entry design, available from 72.5 kV to 300 kV (BIL 1050) with gang or single pole operation. The moving arm enters directly the fixed contact and only a few parts are in motion making it extremely reliable disconnecting switch solution for your requirements. The product is fully assembled only with premium quality materials, with live parts made from aluminum, hard drawn silver plated copper and with stainless steel hardware. The frame as well as supports are hot dip galvanized. Vertical Break disconnector is the narrowest disconnector offering the possibility for the shortest phase to phase distance. 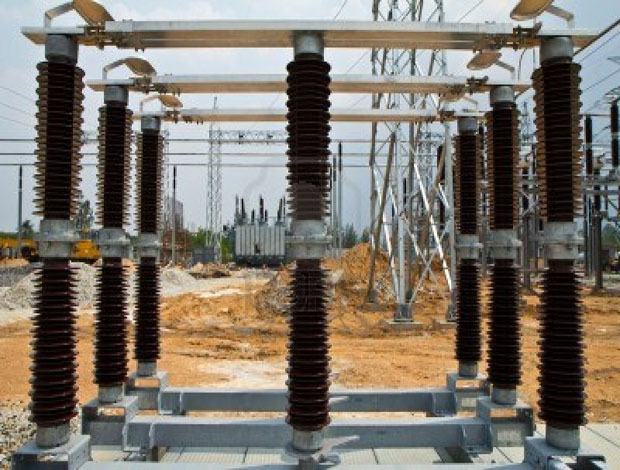 This solution is perfectly fitted within most compact substation layouts like mobile stations. Its mechanical and electro dynamic withstand makes it really universal depending on the c ustomers requirements. The live parts made from aluminum, hard drawn silver plated copper and with stainless steel hardware. The frame as well as supports are hot dip galvanized. Knee Type disconnecting switch is ultimate solution for horizontal isolating distance. Similar to Vertical Break disconnector, it has the possibility to reduce the phase to phase distance to the minimum value with additional advantage of having reduced height in open position. Knee Type disconnecting switch design allows high performance, low consumption and fast motion. The live parts are made of aluminum, hard drawn silver plated copper, with stainless steel hardware. The high performance rotary contacts are self cleaning and are able to bear thousands of cycles without any maintenance. The frame as well as supports are hot dip galvanized. The disconnecting switch is accompanied by comprehensive range of earthing switches, which are available either as stand-alone or integrated with the main switch. Different combinations are available from one up to three integrated earthing blades. The materials used for the earthing switches are same as for disconnectors, which ensures high reliability for over the period of their operation. For the operation of the poles for the disconnectors either manual or electrical operating drives are available. The operating mechanisms offer multiple features to operate the pole locally or remotely to ensure safety for the operation of the grid. The operating mechanism is designed from corrosion-free materials for the enclosure or external devices. The inner components are protected by weatherproof enclosure up to IP 55 and anti condensing resistors.